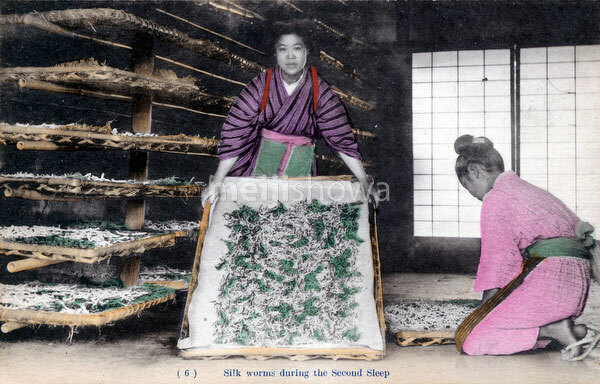 Two women work with silkworms during their second sleep. This postcard is from a series about sericulture, showing the steps involved in making silk. This is card 6.